Do I deserve to die in prison? I'm serving life in prison. I'm also a mother to a lonely little girl. My mom, a paraplegic, raised her family of five in the small, rural town of Terrell, Texas (population: 14, 200). Life was difficult for my mother financially, but she loved us dearly. In 1997, I owned a restaurant with a friend, a Dallas police officer. I gave up a business in Terrell to focus on the partnership in Dallas. I worked hard, went by the rules, and paid my taxes. I had no idea that my life was about to be turned upside down, that I would be sent to prison. Daytime turned night when Chuck Norris volunteered to work as a police officer for the Kaufman County Sheriff Department. 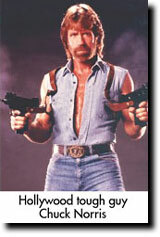 While Chuck Norris was 'acting' as a police officer, someone decided a drug sweep might cap production off. The blacks in Kaufman County were targeted back in 1997, and Chuck Norris kicked in the doors of the citizens of my hometown. He handcuffed a few personally himself, too. During the drug sweep, several people were arrested for trafficking in drugs. As a result, people I'd known for years were carried off to jail. The people arrested were threatened with life sentences if they didn't cooperate. It was an informant's festival of who could tell on whom. People were desperate to save themselves from mandated, harsh prison sentences. One couple I'd known for many years was arrested along with so many others. Some did have small quantities of illegal drugs, others guns, and a few had cash squirreled away. Arresting agents told them they could 'help themselves' if they implicated others in exchange for reduced sentences. I had nothing to do with one particular couple's drug involvement. But their 'cooperation' falsely implicated more than one unsuspecting, uninvolved individual. The couple called my home after their arrest, pleading for sympathy and needing financial help. The government seized their properties and assets, on their way to federal prison, and the children left behind would be penniless. They asked me to help them find some people that would buy drugs, so they could afford legal and family help. During that call, I explained I would try to help them, but I did not know anyone drug involved. That was a monitored phone call. I had brought myself into a broad 'drug conspiracy," and the dark skinned, witch-hunt raged through our community. Law enforcement agents began to question my family, searching for any tie that might link me to illicit drug trafficking. My business partner and friend, the Dallas police officer, was implicated in illegal drug activity, too. 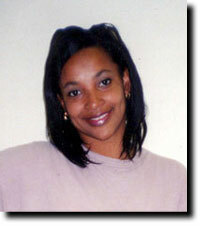 It was alleged that she and I had been identified in Dallas and Houston as drug conspirators. The police officer filed a civil suit against the government for false accusation/defamation of character, wasn't charged, and remains free today. She has been officially instructed to have no contact with me. In the end, I was indicted, along with my mother, sister, brother, and several others for seven counts of drug distribution. At trial, not one shred of physical evidence connected me to drug trafficking with four codefendants. The couple who placed the monitored call testified I was not involved in their drug activities. The jury found me guilty of one count of conspiracy. Later, I was sentenced to life in prison. I was found 'not guilty' on six other counts. Earlier, the government told my former attorney that I shouldn't concern myself with the threat of a life sentence. Prosecutors said if I implicated my friend, the police officer, in drug activity, they would 'help me out' by reducing my sentence. I could not do that. I struggle with the absurdity of my life sentence, and the loss of my daughter, but hope each day that, against all odds, somehow justice will prevail. I really do not deserve to die in prison. Chuck Norris, Real Life "Texas Ranger"
Maybe they can get the attorneys on Law & Order to defend them. For 67 people collared on crack-cocaine distribution charges in 1997 in Terrell, Texas, getting arrested must have been as surreal as it was disturbing. That's because karate champ-actor Chuck Norris - star of such beat-the-beejesus out of felons and foreigners movie classics as Invasion USA, Silent Rage, Forced Vengeance and the Missing in Action saga - was there to put on the cuffs. One understandably confused suspect who was overcome by the bizarre nature of having a minor celebrity arrest him asked, "Is this a movie?" Terrell police didn't say whether the 47-year-old Norris got to kick the suspect in the face. In any event, being available for Walker's Saturday evening time slot shouldn't be a problem for him now. Norris, a former U.S. Air Force karate champion, also made news earlier in 1997 when he sent a court order to some down-on-his-luck actor, trying to make him stop impersonating his Walker character in a Wisconsin car-dealership TV commercial. The actor responded by sticking up a billboard in downtown Dallas that read, "Thanks to Chuck Norris, I am an unemployed commercial actor." At least it's better than the one that reads, "Thanks to Chuck Norris I'm a convicted drug felon who watches Walker: Texas Ranger every Saturday night in the prison rec room.